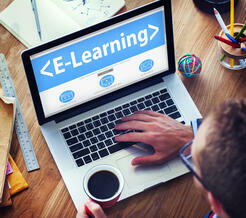 What’s Hot in Health Care at Community Colleges Today? A career in healthcare is rewarding, recession-proof, and financially lucrative. Consider the 10 hottest healthcare careers today that can be started right from community college. Community colleges have become a popular place to jumpstart a new career, whether you are entering the professional workforce for the first time or looking to change career paths. One of the hottest degree trends at these two-year schools right now is health care, with plenty of choices in areas of study and ample job opportunities after graduation. You might work directly with patients or find an administrative position in the health care industry – and it all begins with training at your local community college. Why Community College for Health Care? Many interested in the field of health care make the mistake of thinking a four-year degree is necessary to land a well-paying job in the industry. However, a number of graduates who come into their jobs with two-year associate degrees can make excellent salaries with minimal training time. Some of the top jobs in health care requiring an associate degree can earn an average salary of $50,000 or more, and opportunities for advancement and salary increases are always possible. When you offset this salary change with education costs that are a fraction of what they would be at a four-year school, you can see why many are choosing the community college route to launch their health care careers. This video describes the health care program at Sampson Community College. With so many possibilities, it is likely that the community college in your area will offer a health care program that you can use to launch a successful and rewarding career in the industry. 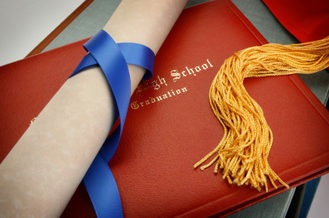 Community colleges are often unique from their four-year counterparts in the job placement services they provide to students. These institutions often partner with companies in the area to ensure the training they provide is exactly what employers are looking for. These companies then hire students right after graduation, knowing they bring the necessary skills to the table right from the start. Community colleges also frequently host career fairs and other events to help connect students with employers in the area. Last year, the American Association of Community Colleges (AACC) released a policy brief that compares associate and bachelor degree programs in nursing. The brief used 2008 federal data from an Institute of Medicine Report, which had recommended an increase of nurses with bachelor’s degrees to 80 percent of the workforce. However, the data revealed something rather different, as reported by the Community College Times. The report went on to state that nearly half of all licensed RNs were initially educated in ADN programs, which has increased since 2005 to more than half. 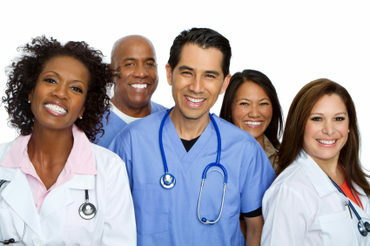 ADN programs also educate more than 50 percent of all minority nurses. The cost of a community college education is much less than a four-year institution, making this training – at least at the beginning of one’s career – a greater value for the money. Community colleges certainly play an important role in training up the next generation of health care professionals. If this career path sounds like the best choice for you, check out 10 of the hottest degree programs available at community colleges today. According to All Health Care at Monster.com, the role of a dental hygienist is to clean teeth, examine x-rays and perform basic tasks like fluoride treatments and sealants. A hygienist is also the primary person in a dental office to educate patients about good oral hygiene and answer basic questions and concerns from patients. Many dental hygienists earn an associate degree and state licensure to practice. Community colleges often help dental hygienist students prepare for state licensure examinations. This is one of the fastest growing professions today, with expected 30-percent job growth through 2016. The average annual salary for a dental hygienist in 2017, according to U.S. News and World Report, was $74,070. This following video describes the Dental Hygiene Program at Thomas Nelson Community College. Online College Options describes respiratory therapy as taking care of patients who have been diagnosed with breathing or cardiopulmonary problems. This professional works under a physician to provide diagnostics and treatment for patients of all ages who have diseases affecting their lungs. Respiratory therapists might work in hospitals, clinics, nursing homes or other healthcare settings. Most hospitals hire respiratory therapists with an associate degree, although advanced education may be required to advance in the field. Job growth in this field is expected at a rate of 21 percent through 2016, and the average annual salary for respiratory therapists in 2017 was $57,290. Education Portal explains that an occupational therapist assistant helps patients achieve their highest possible level of functioning. This type of therapy is primarily concerned with improving patients’ cognitive abilities and motor skills to perform daily activities like cooking and personal care. Assistants work alongside the occupational therapist to provide assistance to patients of all ages in hospitals, nursing homes, rehabilitation centers, and outpatient clinics. Patients may require assistance physically, mentally or emotionally, depending on the type of condition they have. Job growth for occupational therapist assistants is expected to grow at a rate of around 30 percent until 2018, and the average salary for this position in 2015 was $54,520. According to Online College Options, this job was selected as one of the best jobs in 2009 by U.S. News and World Report. Physical therapy, unlike occupational therapy, concentrates specifically on a patient’s physical disabilities and pain due to injury, surgery or illness. Assistants work under the supervision of a physical therapist to increase mobility and strength and minimize discomfort in patients. They also work with patients to ensure ongoing physical health and fitness. As the baby boomer population continues to age, the role of the physical therapist assistant will become that much more important. Job opportunities are expected to grow by 30 percent through 2018, and the average annual salary for a physical therapy assistant in 2015 was $42,980. This medical professional uses devices that emit high-frequency sound waves, called ultrasound, to diagnose a variety of illnesses, according to U.S. News and World Report. Although it is most commonly used in the field of obstetrics, sonography is now part of the diagnostic process for many other fields of medicine as well. Physicians use the information provided by a diagnostic medical sonographer to determine a specific ailment and recommend the best course of treatment. Most sonographers enter the profession with a two-year degree, although four-year programs are available as well. Job growth for sonographers is predicted at a rate of 18-26 percent, and the average annual income in 2017 was $71,590. A radiologic technician is responsible for diagnostic procedures involving x-rays of all kinds. In some cases, procedures involve injecting patients with nonradioactive materials, and other times it involves using special equipment like magnetic resonance imaging (MRI). Radiology technicians are also responsible for maintaining equipment and managing patient records. Licensing is required for radiologic technicians in most states, which includes a state-approved examination. Community colleges often help students prepare for these exams and provide information on where and when exams are held. The field is expected to enjoy robust growth over the next few years, and the average annual salary for radiologic technicians in 2017 was $58,440. The field of nursing has and will continue to be, one of the top professions in the healthcare industry. Nurses care for patients in a wide variety of settings, including hospitals, clinics, nursing homes, physician’s offices or schools. 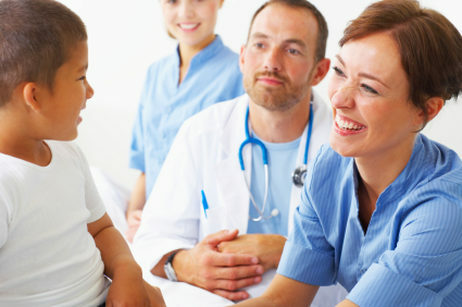 These professionals work alongside physicians in caring for patients, administering medication and treatment and educating patients about their conditions. In most cases, graduates with an associate degree become licensed practical nurses or LPNs. However, some can find entry-level positions as a registered nurse with a two-year degree as well. An associate degree can be the first education step in your nursing career or the place where you can launch a successful career as an LPN. Most states also require nursing graduates to take a state licensing examination; community colleges often help their students prepare for those exams. Nurses are always in high demand, and the average annual salary for an LPN in 2015 was $43,170. All Allied Health Schools lists the duties of a pharmacy technician as everything from receiving prescriptions to mixing medications. These professionals work alongside pharmacists in a variety of settings, including hospitals, clinics, and the local grocery store pharmacy. Randy Brown, a pharmacy technician with 10 years of experience, told All Allied Health Schools, “Techs are not allowed to do consultations on specific medications or take new prescriptions on the phone. But as far as all other work is concerned, techs can do everything.” Some states do now require pharmacy technicians to take a certification exam before working in the industry. This field is a growing one with an average annual salary of $30,410. Medical billing and coding is an interesting profession that many can do from their home office, according to All Allied Health Schools. This administrative role allows you to work in the healthcare profession without direct contact with patients. The medical biller and coder updates patient files using a universal coding system to identify different illnesses and treatments that make it easier for doctors to bill and insurance companies to reimburse patients and healthcare offices. In addition to working from home, people in this line of work might find positions in hospitals, doctors’ offices, nursing homes, and outpatient care facilities. The average salary for medical coders is $39,240. This video describes what being a medical billing and coding specialist involves. The field of health information management has become an increasingly important one for physicians and healthcare facilities trying to manage high volumes of patient records and information. To make the field more complex, many laws are in place that determine precisely how these records must be stored and distributed. An associate degree in health information management prepares students for the interesting field, with training in technology and the legal aspects of the field. 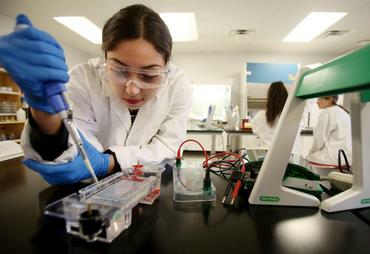 Some of the positions open to those with this degree, according to Online College Options, include data analyst, computer technology technician, clinical data manager, and systems coordinator. The job outlook for a health information management specialist is bright, with expected growth of 20 percent through 2018 and an average annual salary ranging between $46,828 and $80,758. The field of health care is a popular and consistently evolving one, as new technology continues to change the face of the industry. One thing that remains constant in the health care industry, however, is the need for qualified professionals who can come into entry-level positions and provide patients with high-quality care and health care professionals with top-notch support. An associate degree in health care may be the first step to a rewarding and lucrative career that can take students well into the future.